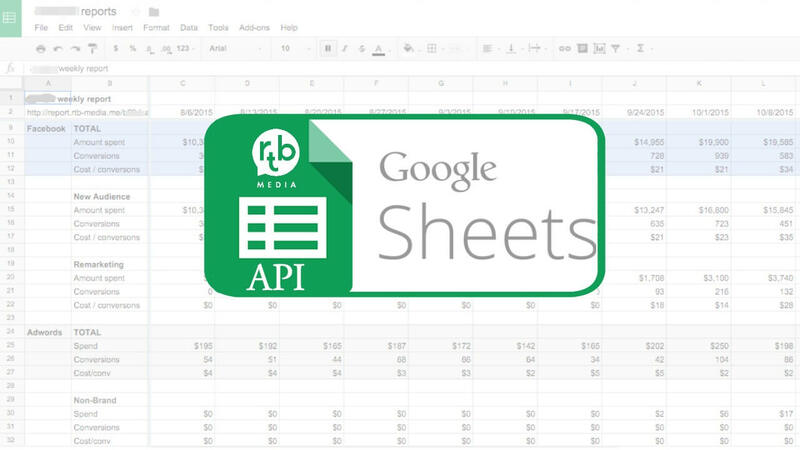 New Product: Meet The Google Sheets API! We get it. Not everyone needs the same kind of report. But there are some people on your team that need specific reports to feed into their dashbaords all the time. We’re looking at you Mr. CEO, Financial Analyst, and Head of Accounting. This week our team rolled out a new product designed to compliment our reporting tool and provide enhanced insights to those who need it most. Meet the Google Sheets API. This tools allows you to build and manipulate custom reports via Google spreadsheets by tapping into RTB-Media’s API. All the information that you see in our reporting tool can be viewed in a more flexible manner via Google Sheets. Once these reports are configured, you can have this information dynamically populate based on whichever variables are important for you to track for your business. and so much more.Reach out to our team today to learn how you can tap into these reports!